Lori Handeland | Author-Reader Match + Giveaway! Instead of trying to find your perfect match in a dating app, we bring you the “Reader Match” where we introduce you to authors as a reader you may fall in love with. It’s our great pleasure to present Lori Handeland! 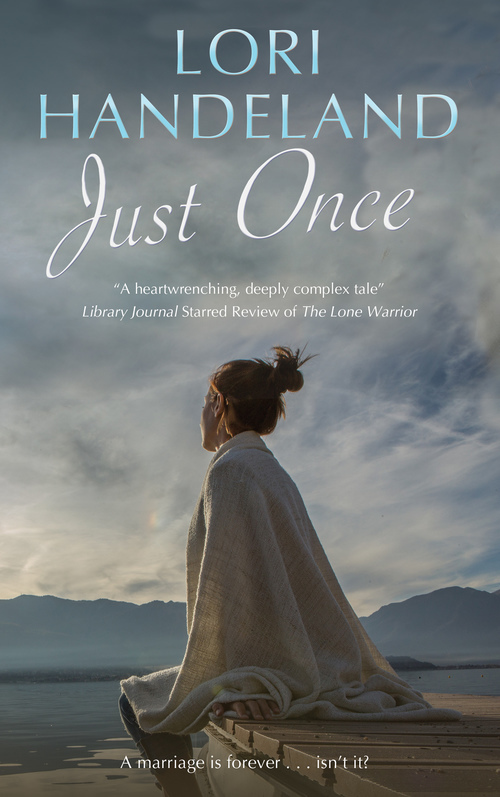 Lori: Most readers know me as an author of paranormal, contemporary and historical romance, but my most recent novel, JUST ONCE, is a contemporary women’s fiction novel. Women’s fiction deals women’s relationships-sisters, friends, children, parents, lovers – and may or may not contain a romance. Fifty-something romance author seeks readers for an exploration of the relationship between two women who love the same man and how they come together when he needs them the most. Are we a match? Why or why not? Tell me in the comments and you’ll be entered to win a $25 Amazon gift card! Frankie Sicari is roused from sleep late one night by a key rattling in the front door lock. It’s her ex-husband, Charley Blackwell: a man she hasn’t seen for nearly a quarter of a century. What’s baffling is that Charley seems to think they are still married, and has no recollection of his current wife, Hannah. When medical tests reveal shocking findings, Frankie finds herself reluctantly caring for the man who left her twenty years earlier, while Hannah is relegated to the sidelines. How can Frankie forgive the man who abandoned her when she needed him most? And how can Hannah cope with the impending death of the man she’s loved for the past twenty years – especially now she is faced with the shattering truth that he has never stopped loving his first wife, Frankie? Coming to terms with the past is never easy, but what if part of the past can’t remember? Lori Handeland is a New York Times and USA Today bestselling author with more than 60 published works of fiction to her credit. Her novels, novellas, and short stories span genres from paranormal and urban fantasy to historical romance. After a quarter-century of success and accolades, she began a new chapter in her career. Marking her women’s fiction debut, Just Once (Severn House, January 2019) is a richly layered novel about two women who love the same man, how their lives intertwine, and their journeys of loss, grief, sacrifice, and forgiveness. Lori set her sight on being an author at the age of ten. She remembers sitting at a typewriter before she knew how to type, pecking out a story about a family who went into space. As an only child, her summers were spent with that typewriter, television, and, above all, books. She recalls thinking that if she could write books of her own, she would never run out of books to read. As a young adult, she got sidetracked by the need to make a living. She worked as a waitress and later enrolled in college to become a teacher. While student teaching, Lori started reading a life-changing book, How to Write a Romance and Get It Published. Within its pages. the author, Kathryn Falk, mentioned Romance Writers of America. There was a local chapter; Lori joined it, dived into learning all about the craft and business, and got busy writing a romance novel. With only five pages completed, she entered a contest where the prize was having an editor at Harlequin read her first chapter. She won. Lori sold her first novel, a western historical romance, in 1993. In the 26 years since then, she has written eleven novels in the popular Nightcreature series, five installments in the Phoenix Chronicles, six works of spicy contemporary romance about the Luchettis, a duet of Shakespeare Undead novels, and many more books. 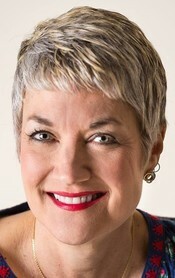 Her fiction has won critical acclaim and coveted awards, including two RITA Awards from Romance Writers of America for Best Paranormal Romance (Blue Moon) and Best Long Contemporary Category Romance (The Mommy Quest), a Romantic Times Award for Best Harlequin Superromance (A Soldier’s Quest), and a National Reader’s Choice Award for Best Paranormal (Hunter’s Moon). Lori Handeland lives in Southern Wisconsin with her husband. In between writing and reading, she enjoys long walks with their rescue mutt, Arnold, and occasional visits from her two grown sons and her perfectly adorable grandson.